Building a major infrastructure project such as a new airport terminal is an incredible endeavor to say the least. But how about the world’s largest airport built completely from scratch? That’s a whole other level—and it’s what the Turkish company İGA is currently doing with the help of building information modeling (BIM). 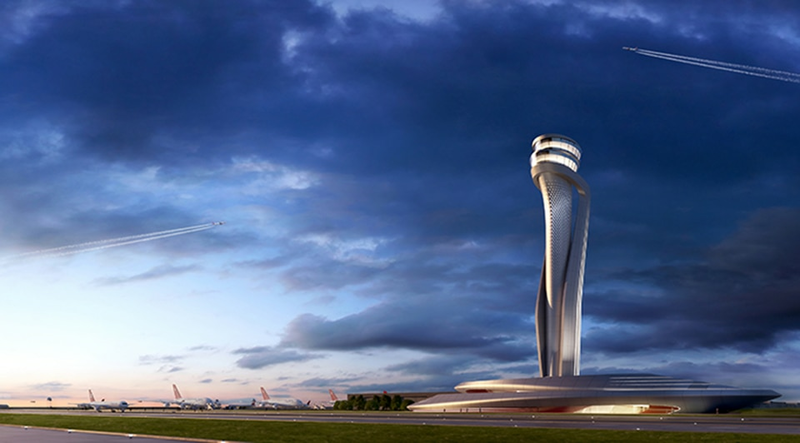 Located north of Istanbul 35 km distance to the city center, the İstanbul New Airport is a bold project covering 76.5 million square meters. The construction will be carried out in four phases. 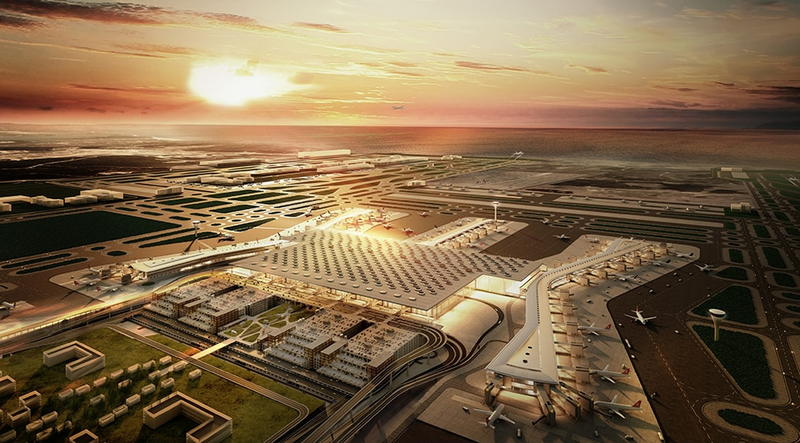 İGA is set to complete the first phase in 2018 with one terminal, three runways, a stunning air traffic control tower designed by Pininfarina (of Ferrari fame) and AECOM, and an annual passenger capacity of 90 million. Once complete, the airport will serve up to 200 million annual travelers with six runways supporting 3500 takeoffs and landings as well as access to more than 350 destinations. Building this new airport for the 21st century requires the technology to match its ambitious goals. 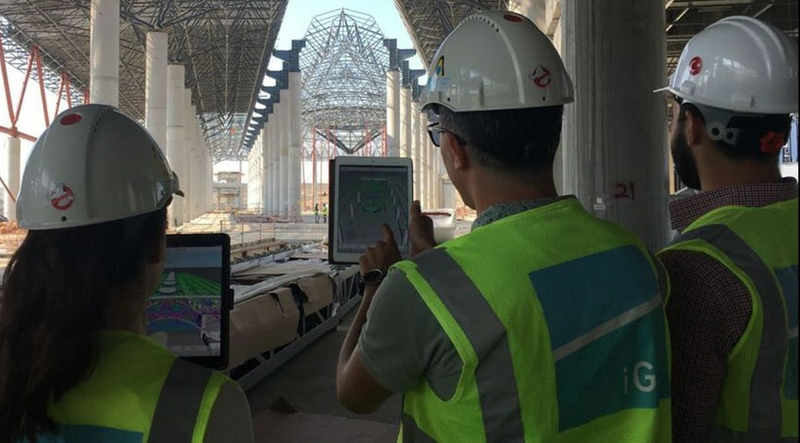 The İGA team is depending on BIM to make it happen, covering the whole project lifecycle from design, fabrication, and construction to operations and maintenance. Only with BIM can they lower costs and increase the collaboration that is vital to this massive undertaking. With 30,000 people working on the site each day, communication at scale is key. By reviewing the master model, all of the parties can see each other’s concerns; clashing elements; inaccurate or missing design elements; and critical zones both for coordination and installation. IGA’s BIM team ensures that information in all dimensions is available to the various stakeholders and for different purposes. The 3D model is reviewed by all of the participants for necessary revisions and installation information, while the 4D model is mainly used with executive directors for the project’s current status as it relates to the planning. 5D information is extracted from the model to help anticipate the construction schedules impact on costs. A 6D model is also being created for sustainability goals. Finally, the team is building a 7D model for facilities management throughout the lifecycle of the airport post-construction. On such a large site, easy access to data and information anywhere and at any time is critical to keeping everything on track—and truly facilitating the intricate collaboration with a wide number of project owners and workers. 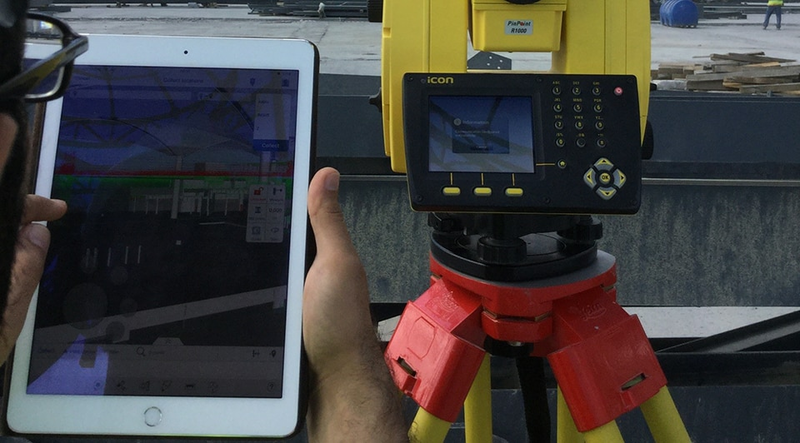 More than 150 tablets are actively used by site engineers and chiefs to share the 3D model, shop drawings, and Quality Assurance and Quality Control checklists (QA/QC) with the entire team. The QA/QC checklists are applied to all of the different disciplines, including superstructure, infrastructure, special airport systems, and MEP-IT. Above all, IGA’s goal for effective collaboration can only happen with all of the information in the cloud throughout the design and construction phases.